This is definitely not an essential kitchen tool. Ground nutmeg is easily available. But, like freshly ground pepper, grinding nutmeg releases a lot of flavor. We have a very old, antique one & this time of year, I use it quite a bit. Nutmeg is common in fall cooking, especially desserts....apple pie, gingerbread, etc. But, I also use it in any savory dish that includes ricotta cheese, like lasagna, stuffed shells, etc. Also, in the custard when making quiche. 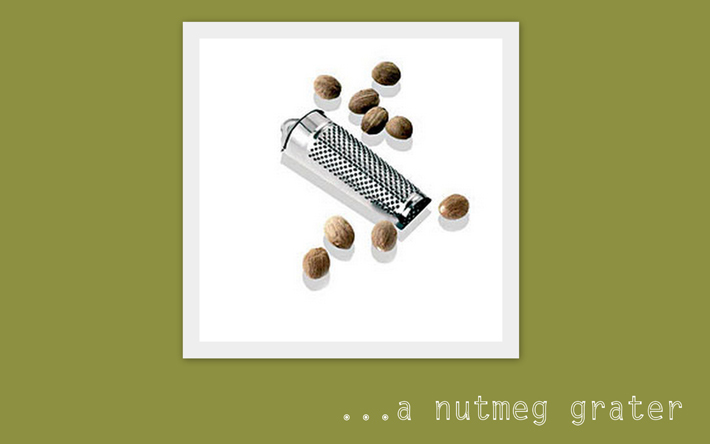 You can find nutmeg grinders, but who has room for another contraption? This grater is perfect & stores easily. The lid open & a whole nutmeg can be stored in the top.